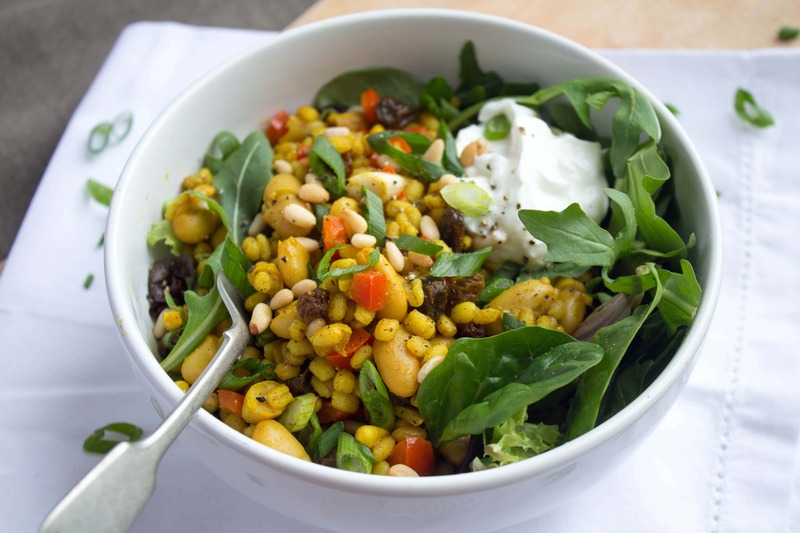 This Spiced Raisin and Pine Nut Barley Salad is nutritious, delicious, and simple to make. 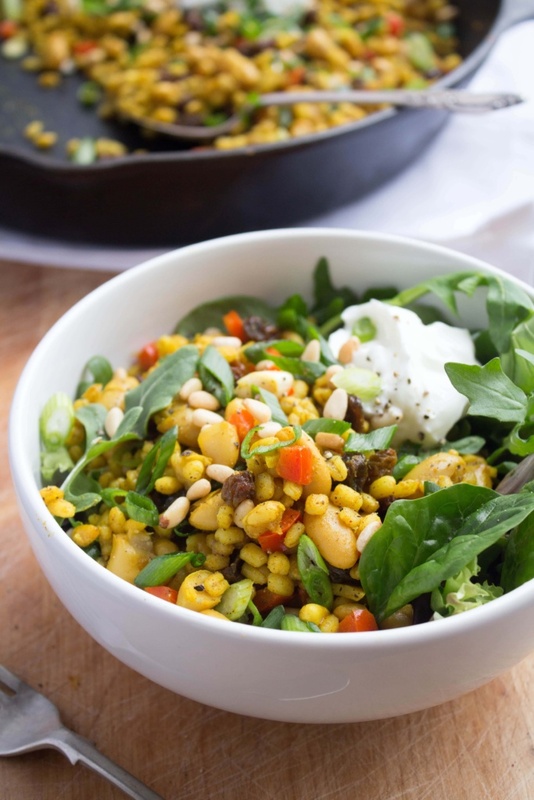 Packed with fiber and protein, enjoy it alone, as a side dish, or on top of salad! I threw this recipe together one night when looking for something fast and satisfying to pack the rest of the week for lunch. Mission: accomplished! 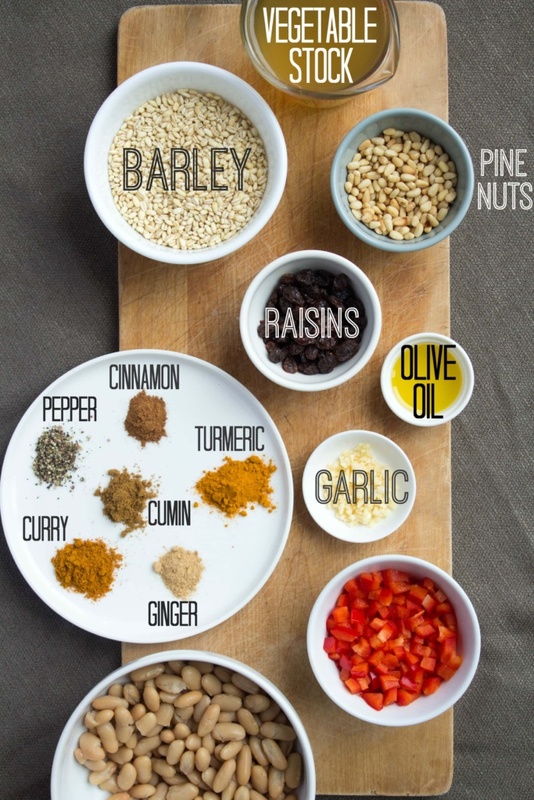 The spices add great flavor – and the turmeric adds a nice anti-inflammatory boost, too! 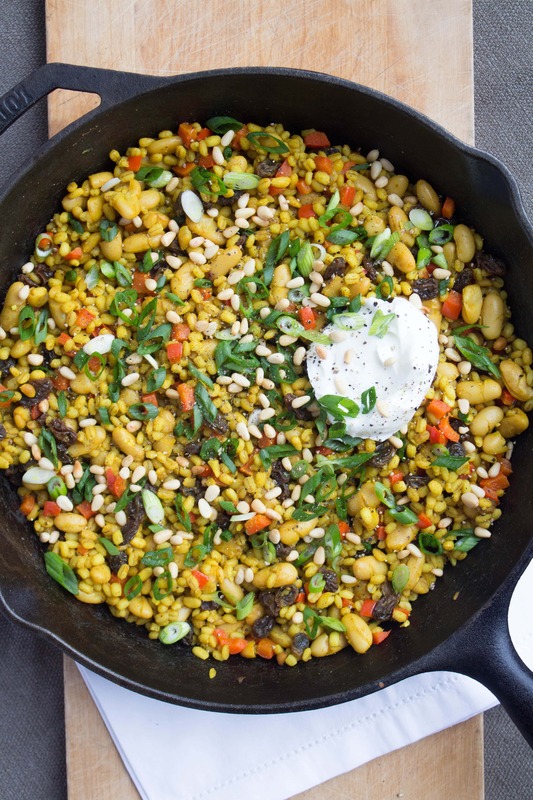 To make this recipe, you cook your grain then saute the rest of the ingredients together for a few minutes before stirring in the cooked grain. That’s it – super easy! Don’t forget the hot sauce and a dollop of plain Greek yogurt, if you want! 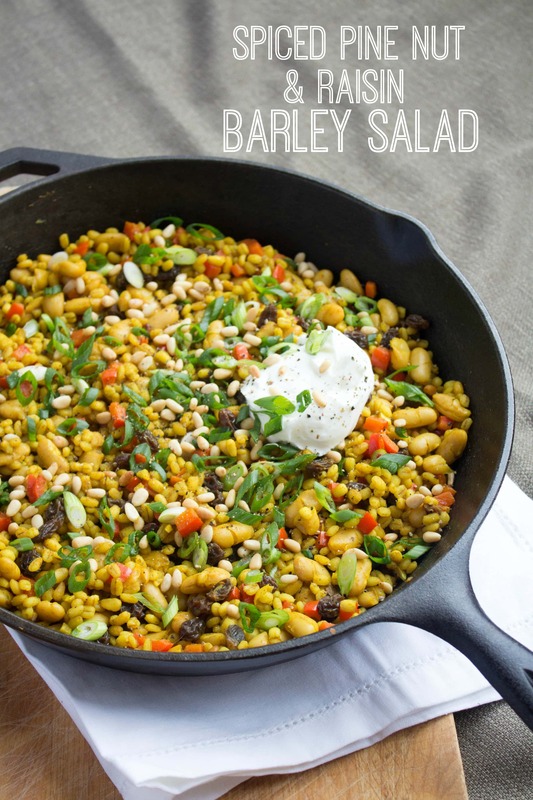 Not a fan of barley? This recipe will work well with brown rice or couscous, too. You can also use dried cranberries instead of raisins. 1) In a medium sized pot, add barley (or brown rice/couscous), vegetable broth, and water. 2) Bring to a boil, then reduce to a simmer, cover, and let cook about 20 minutes, stirring occasionally until all liquid has been absorbed and the barley is fluffy. 3) Add all other ingredients into a large saute or stir fry pan. Stir ingredients together over medium high heat for about 3 minutes, then add in the cooked barley. 4) Stir until evenly mixed. Serve warm as is or with fresh greens; top with hot sauce and/or plain Greek yogurt, if desired. It definitely would be! Enjoy! Wonderful looking dish! We were wondering if you had the nutrient values. Having this tomorrow!! I don’t share nutritional information for my recipes (I advocate for intuitive eating – google it if you aren’t sure what that is! ), but I hope you love the dish!